A 30,000-bushel wooden grain elevator at Rathwell, on the CPR Glenboro Subdivision in what is now the Municipality of Norfolk Treherne, was built before 1912 by the Rathwell Farmers Elevator Company. Sold to Paterson Grain in 1926, its capacity was increased in 1957 by the addition of an annex. 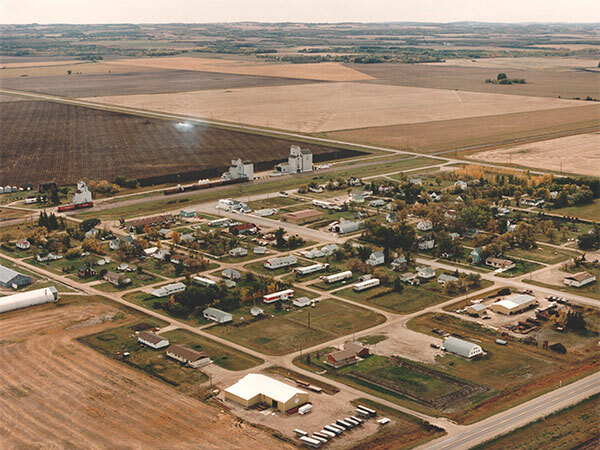 In September 1969, it was sold to United Grain Growers, becoming its second elevator in Rathwell. Closed around 1983, it was later removed from the site. John Everitt Collection, S. J. McKee Archives, Brandon University.